John Byrne Cooke was born and raised in New York City. Like many another American kid of his generation, John's first camera was a Kodak Brownie box camera - the granddaddy of the point-and-shoots. He shot cars, trains, members of his family, anything that caught his eye. John's serious study of photography began at the Putney School in Putney, Vermont, a boarding prep school that was co-ed and progressive ahead of its time, strong in the arts then and now. There, John began to develop and print his own pictures and he undertook his first thematic photo project - shooting the modern dance class in rehearsals and performance. 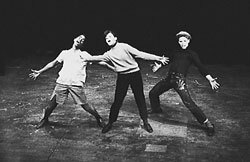 The result of this early work was a fascination with photographing the performing arts that has continued to this day. While at Putney, inspired by other students who were already playing and singing folk songs, John learned to play the guitar. When he arrived at Harvard College, in Cambridge, Massachusetts, the folk boom was just beginning. Bohemians had become beatniks. 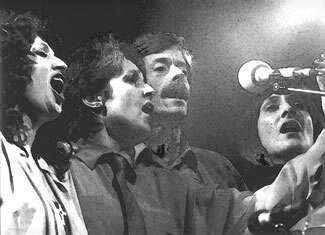 Joan Baez was performing twice a week at a Cambridge coffeehouse called the Club 47 Mount Auburn, for twenty dollars a night. Before long, folk music supplanted jazz at the Club 47 and other coffeehouses across the nation. 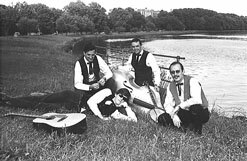 While still a student at Harvard, John became a member of the Harvard-born old-time and bluegrass band, the Charles River Valley Boys. As a musician and photographer, he was inside the musical counterculture from the start. After college, John played music full time and took photographs from Cambridge to California and Paris to Tangier. When folk music was replaced in the counterculture's affections by rock and roll, a fortuitous chain of opportunities brought John to San Francisco to road manage Big Brother and the Holding Company. When Janis Joplin left Big Brother a year later, she asked John to stay with her. 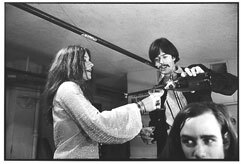 John worked with Janis until her death in October 1970. When the exhilarating high of the '60s dissipated in the early '70s, John put aside his guitar and his camera for a time. He turned to writing screenplays and novels, but before his first novel was published John was contacted by Robert Shelton and Bob Spitz - two writers working on biographies of Bob Dylan. They asked John for photographs. "What a great collection of excellent photographs"
"Brilliant beautiful textures, dark and light. Exhibit more!" "Thanks, John, for taking us back!" "Excellent show. 1st rate work!" "Great shots. I love seeing Janis Joplin in action even though I wasn't able to in person." "Brings back heart-felt memories of a time I never saw"
"Brought tears to my eyes. Thanx." John moved to Jackson Hole, Wyoming, in 1982 where he wrote, played music, skied, and studied acting until he passed away in September 2017. To learn more about John's writing, music, and acting, visit www.johnbyrnecooke.com.